Ski holidays to Bulgaria are fast becoming a popular choice for holidaymakers and this is evident with Bulgaria being one of twenty worldwide countries recently nominated in the World Ski Awards. Not only are ski holidays to Bulgaria great value for money but they also offer something for every type of winter sports enthuasiast. Pamporovo and Borovets have some amazing runs geared at Beginner and Intermediate skiers and snowboarders. 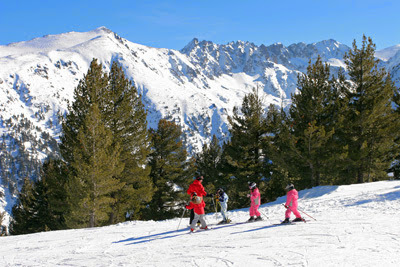 Where as Bansko has some nifty and challenging runs for the Advanced skiers and snowboarders. Nether the less all of Bulgaria's ski resorts still cater for all levels of ability. For non skiers and non snowboarders there is plenty to offer from Spa treatments, Skiddo's, Winter Fishing, Horse Riding, Monastery visits are just a few of the day excursions offered along with the various apre-ski excursions. There is something for everyone to be kept busy throughout their stay. 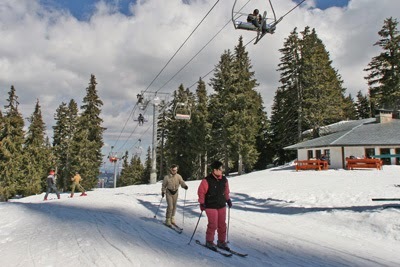 Just one and a half hours from Sofia airport, Borovets has the shortest transfer time making it an ideal resort for families with young children looking to get off the plane and checked in as quickly as possible. Although Bankso and Pamporovo have longer transfer times, many customers would agree that once you arrive, surrounded by the picturesque breathtaking scenery, the longer transfers are definitely worth it. Bulgaria have not switched to the Euro and still use the Leva currency meaning your money goes further when in resort with fantastic prices on everyday holiday items like meals and drinks. Ski holidays to Bulgaria also provide great value on pre-bookable ski extras with a Pamporovo Learn to Ski Pack starting at only £115.00. Learn to ski packs include lift pass, ski hire, boot hire and lessons (4 hours a day) for 6 days. Its also worth noting that these ski extras prices are a fraction of the price that you would be expected to pay in many other European ski resorts. 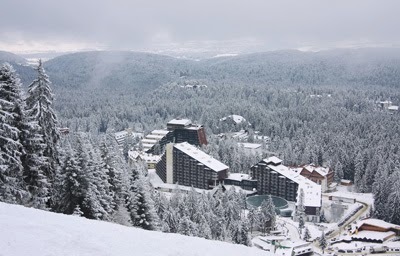 Flying from Bristol, London Gatwick, London Heathrow, Manchester, East Midlands and Newcastle and offering a vast range of accommodations that suit all customers requirements, Balkan Holidays are your number one winter specialist to Bulgaria so ensure you visit our winter holidays website today to find out more or to book your next ski or snowboard holiday to Bulgaria.